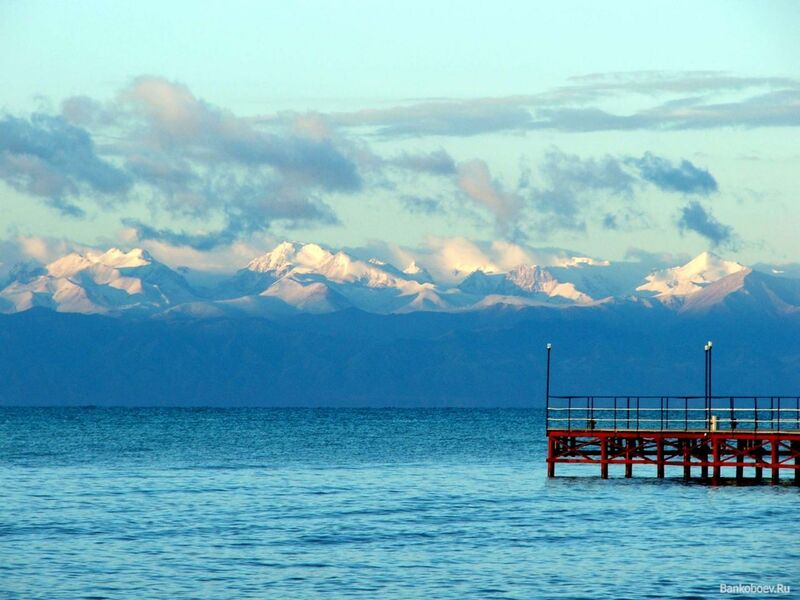 Located in north-western part of Kyrgyzstan, the lake can outdo many seas - it ranks among top-25 largest lakes of the world and occupies honorable 6th place among deepest ones. Thank to unique composition of its water and beautiful nature - ranges of the North Tangshan are everywhere around and there are more sunny days there than, say, at the Black Sea coast, Issyk-Kul gradually turns into major resort of Eurasia. 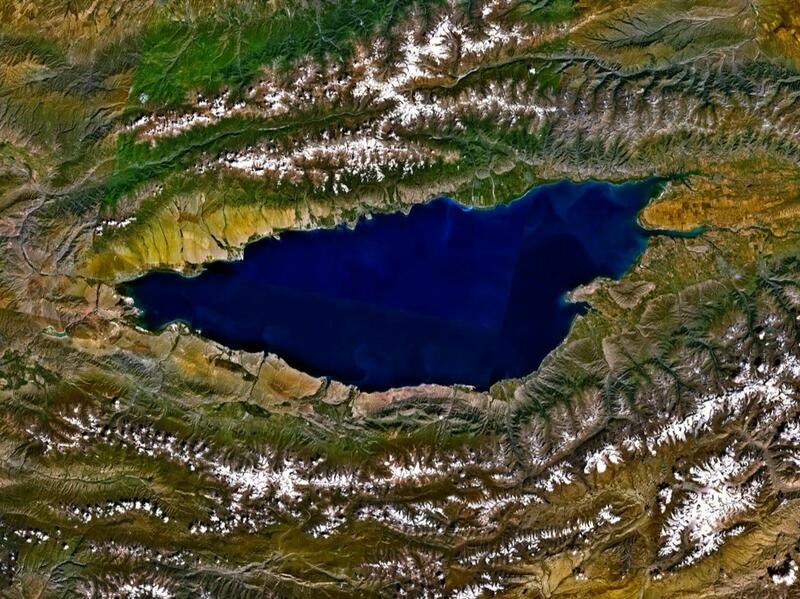 Over recent years Kyrgyzstan has been investing huge money into development of infrastructure, local authorities realize that the lake is a diamond and it takes efforts to facet it. Kyrgyzstan with its huge mountain ranges, transparent rivers and refreshing valley is compared to Alpine countries for a reason. 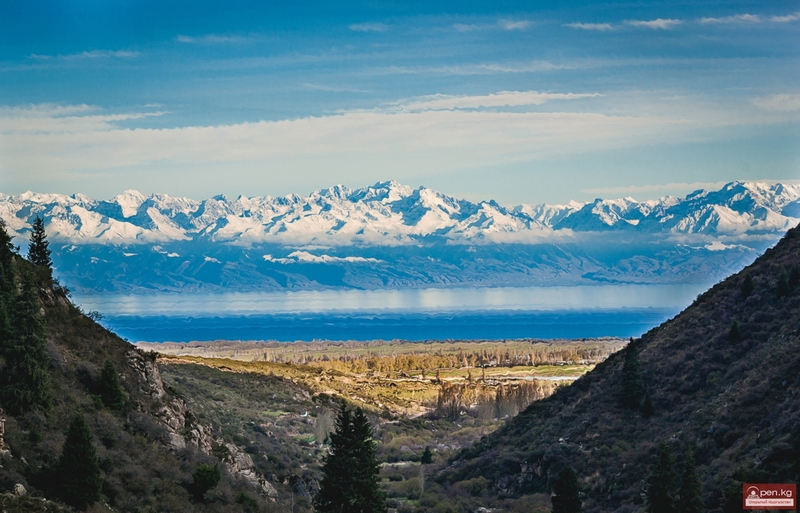 Only in the Alps there is nothing even close to such a giant lake as Issyk-Kul that has been known for several thousand years far outside Asia. Healing properties of its water and mud, described by ancient Chinese chroniclers, cure people till today – both local citizens and numerous guests. Banks of the lake are a great place to have some rest and improve health. Today service and natural conditions already allow every single traveler with any state of wallet spend time the way he or she wants. Alongside popular pastime “at a beach”, available there from June till late September, such amusements as waterskiing, riding a scooter boat, hiking in the mountains, mud treatment, horse riding and, of course, fishing is at the service of guests. Even the Finns, passionate fishermen and patriots, often trade their country “of thousand lakes” for a trip to a geographically pretty distant Kyrgyzstan. They do it for the sake of huge fish treasures of Issyk-Kul, among them legendary local Siberian Roach stands out. Out of 21 species of water inhabitants it gets on the hook 90% of the times. Siberian Roach “hunt” is not just sport interest but also a purely prosaic one – lunch cooked from own take is something you’ll remember for the rest of your life. In every hotel or health retreat these are fish delights that local cooks are famous for; therefore one shouldn’t forget about being active otherwise there is no way to come back from Issyk-Kul in good shape. Luckily, there are plenty of opportunities for muscular activities. Alongside cycling along the lake, yoga and fitness by the water, outings to the mountains are especially good. There are routes for both newbies whose goal is a picnic outdoor and for experienced and enduring alpine climbers. Not far from the south bank of the lake famous Jeti-Ögüz Rocks, that remind bulls in shape, is situated. Translation of the name means Seven Bulls. In the same part of ranges fantastically beautiful canyon called Fairy Tale is located. No words can describe its uniqueness. Upon reaching the spot both tourists and guides become silent though for the latter ones the view is no novelty; however each visit brings new impressions and emotions. 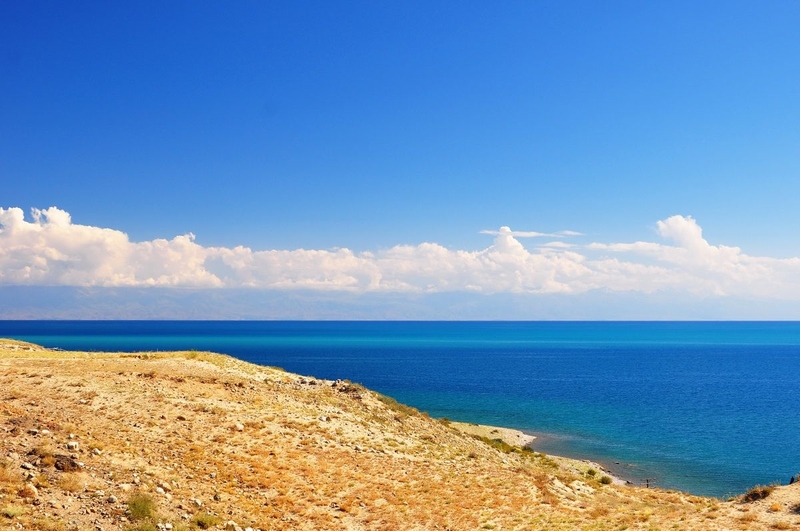 If you have rest on the northern bank of Issyk-Kul – no problem, there is no need for you to spend a lot of time crossing the huge lake or going around it; one can find magnificent places for walks on that side, too. Semyonov and Grigoriev Ravines with their gorgeous waterfalls and mountain water basins deserve particular attention. And when snow falls down, a modern mountain ski base Karakol that is believed to be one of the world’s best becomes the main oasis for those who love nature and adrenaline. In such places soul gets full rest and in order not to forget about own tired body one should turn to all kinds of relaxing procedures. Unique mud, salts and minerals from the lake deal perfectly with several dozens of illnesses – from problems with joints to failings of cardiovascular system. Therefore health retreats of resort towns are occupied not only in summer periods but also in cold seasons. By the way, the name of the lake itself translates as “warm” because it never freezes, even in winter, due to winds and undercurrents. At local medical centers, though they are equipped with state-of-the-art equipment, they don’t forget about folk traditions. Therefore, together with pharmaceutical products, they put patients on their legs using ointments, apozems and potions. According to both legends and facts, in the vicinity of Issy-Kul everyone from Tamerlane to soviet party leaders was successfully treated. Nowadays such a pleasure is at everybody’s disposal because there, just as in the whole Kyrgyzstan, prices are very affordable and one can easily have rest with entire family against a thousand dollars or a thousand and a half.